I have a small scar on my forehead. I got it when I was working as a community organizer for the Community Coalition in South Los Angeles and my car was pelted with bricks on the corner of Florence and Normandie Ave on April 29, 1992. 25 years later, that scar is the reminder of the generations of pain and anger unleashed after the acquittals of the four white police officers handed down by a nearly all-white jury for the videotaped beating of Rodney King. That day, I was caught at the epicenter of the April 29 Los Angeles Uprising or Sai-gu (Korean word for the date). The five days of violence and unrest that ensued left 55 people dead, more than 2,000 injured, and inflicted more than $1 billion in property damage. The media interchangeably framed the civil unrest as a race war, a Black riot, and a targeted attack on Koreans and the Los Angeles Police Department by the African American community. Latinos were dropped from the story. So was the fact that the unrest was a rainbow rebellion that spread far from South Los Angeles and included actions in Hollywood, West Los Angeles, Long Beach, Compton and Inglewood. In reality, one-third of those who were killed and more than one-half of those arrested in the upheaval were Latino. Moreover, between 20% and 40% of the businesses that were looted were owned by Latinos, according to Latinos Futures Research Group. Although whites could also be seen looting, only 11% were arrested. The mainstream news coverage told us Korean-Americans and their stores throughout LA’s Koreatown were hit the hardest by the riots, with an estimated $400 million in damages and 1,600 Korean-American owned stores completely destroyed. 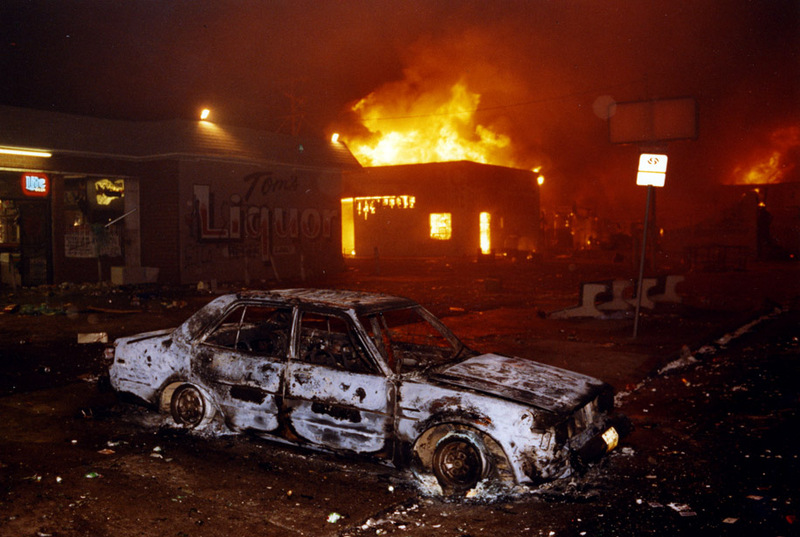 The spark for the Civil Unrest was the King verdicts, but the powder keg was decades of divestment, racism, police brutality and a drug epidemic that shaped Los Angeles south of the I-10 Freeway. However, a wide-angle lens shows that the pattern of destruction was more related to poverty than to race or even to police brutality. BFGoodrich, US Steel, Ford and other manufacturers had left South Los Angeles, leaving blue-collar workers out of work. By 1992, crack cocaine had taken hold as means to self-medicate the pain and despair of racism and poverty as well as an alternative means of livelihood. Yet, lingering questions revolve around what will happen if the national policies to divest from inner cities, and mass deportations and incarcerations become a reality. A volatile combination when you consider the Attorney General has made it clear that voter suppression and police shootings will not be a priority for investigation. 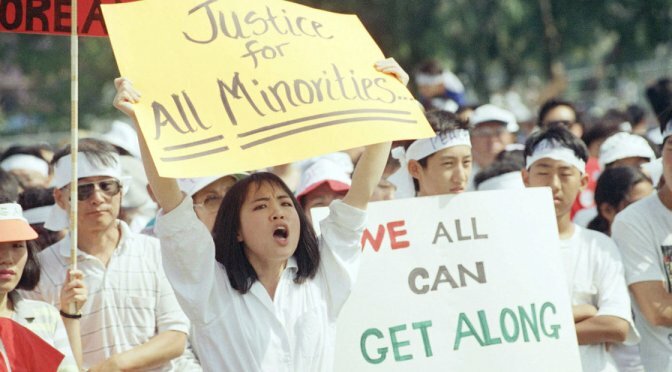 This weekend at 4.29 Sai-gu: 25 years Later Remix conference at Homan United Methodist Church in South LA, African American, Korean and Latinos reflect on lessons from the deadliest upheaval in American history. Could this happen again? The counter is now South LA has elected political leaders that are alumni of Community Coalition and dozens of social justice organizations linked in a movement across the region, including: Black Workers Center, Koreatown Immigrant Workers Alliance, SCOPE, Inner City Struggle, and Central American Resource Center - LA. 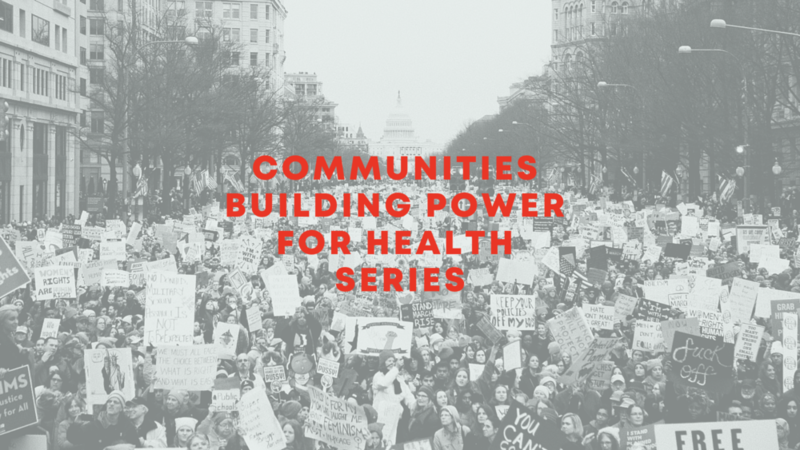 Each organization amplifying the community’s voice and mobilizing community power to change the underlying conditions that fostered the original unrest. ________________ K-TOWN'92 Interactive Documentary by Grace Lee featuring Sylvia Castillo and others.